I met, David James, the wine maker for DEFINE Wines Rosé at my wine release party a few months back. He and Carrie Maudlin came to enjoy some sips of Passaggio Wines. We had a great time and I enjoyed their company that evening. 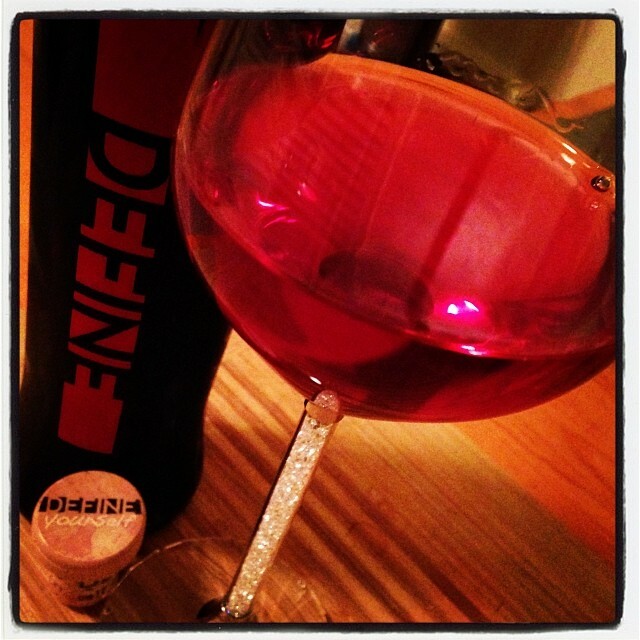 In December, I noticed the new release of the 2012 vintage of DEFINE Rosé, so I decided to buy a bottle. I purchased the 375ml bottle for $23 off their website. This vintage rosé was made from Napa Pinot Noir and Sur Lie aged in French Oak barrels for six months. The rosé, in a very elegant bottle, which used a stopper cork, was a deep rose color. A complex nose of strawberry, pomegranate, cherry, and a hint of minerality and oak. A heavier mouthfeel than you would expect on a rosé with strawberry, cherry, slight oak and balanced acidity.